This month, embrace the Year of the Pig with an assortment of three fun, fabulous, and family-friendly events. First, join us at Davies Symphony Hall on February 16, when the San Francisco Symphony performs their annual Chinese New Year Concert. The evening will feature works by Asian composers, including “The Butterfly Lovers Concerto,” performed by renowned violinist Angelo Xiang Yu. The concert will also include visual accompaniment by designer Adam Larsen’s one-of-a-kind video projections. Also, all ticket-holders are invited to a free pre-concert festival reception that will feature sweets and savories, a wine and tea bar, “lucky” red envelopes, lion dancing, music by Melody of China, and a guest appearance by LiLou – the City’s first-ever therapy pig. 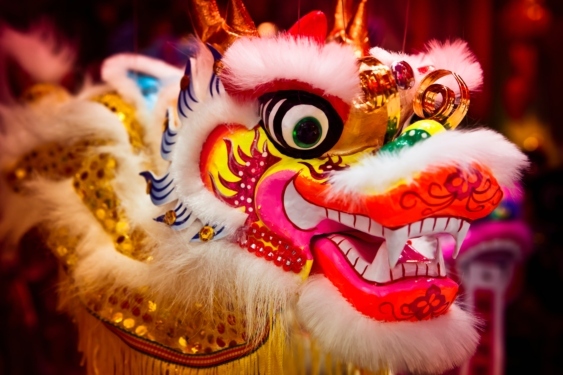 Next, check out the floats, costumes, lions, firecrackers, the Golden Dragon, and the newly-crowned Miss Chinatown U.S.A, at the Southwest Airlines Chinese New Year Parade on February 23. Lastly, don’t miss the giant puppets, Asian folk dance, drumming, opera, magic performances, and an abundance of shopping with over 120 vendors at the Chinese New Year Community Street Fair at Washington Street below Grant Avenue on February 23-24.